PAYMENTS ACCEPTED – Credit, debit, and gift cards. Finalized at pickup. PICKUP HOURS – 7am-9pm, 7 days a week, hours may vary by store. The Meijer website is user-friendly and very clean compared to the others. I like this design pretty well as of Jan. 2017. There’s not a lot of clutter and everything is self-explanatory. When I increase an item’s quantity, it’s updated in the cart regardless of where whether I clicked it in the search results or the cart itself. The turnaround time in my area using Meijer Curbside for time slots is about 4 hours normally. Not bad! If I start planning in the morning what I would like to make for dinner that night in time to make it the same day. Meijer mPerks digital coupons are accepted. If you do not already have a mPerks account, please sign up at mperks.com. Currently, paper coupons are not accepted on Meijer.com orders. As with the rest, there are typically always a substitution or two in my orders. 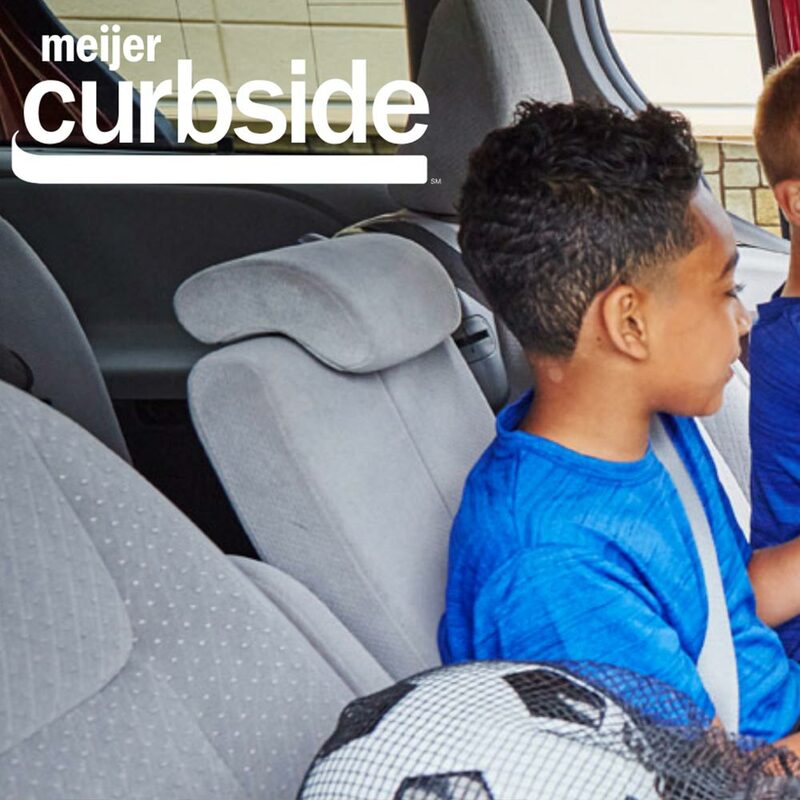 For my family, I usually spend about $175-$250 for each trip using Meijer Curbside so one or two doesn’t bother me. I haven’t had a problem with freshness either. Honestly, my local Meijer has the best produce of all of them.